Ch'i ["qi" in the more recent pinyin romanization] is one of the most fundamental and important concepts in all Taoism and relates to all Taoist practices and arts. The ancient Taoist sages understood that the entire perceivable universe was energy in a state of ceaseless flux and transformation, giving rise to a myriad of forms. The Taoist mind was geared to the experience of energy in all its forms, so their language evolved to vividly map the territory they perceived. Ch'i is the term they used to describe the universal energy. So essential and fundamental is ch'i to reality that today in everyday usage Chinese, the word ch'i is widely used as a suffix or prefix to imbue a subject with qualities of air, breath, vitality, combustion, or power. For example: ch'i-che (energy-vehicle = car), ch'i-you (energy oil = gasoline), ch'i-schwei (air + water = soft drink), and tien-ch'i (sky, lightening-power = electricity). 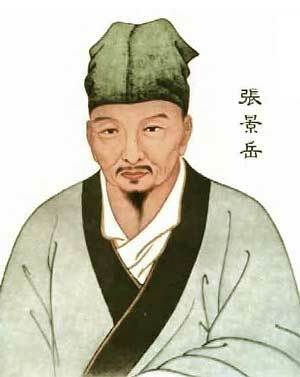 Chang, Ching-yueh [Chang Chieh-pin], renowned Taoist author, wrote in 1624 in the Lei-ching [Lei Jing] or Classified Classic: "Ch'i is configurational energy of the Cosmos. Change, both inception and transformation, rests on ch'i, and there is no being in the cosmos that does not originate from it. Thus ch'i envelops the Cosmos from without and moves the Cosmos from within. How else than by ch'i can the sun and the moon, the planets and the fixed stars shine, can thunder resound and rain, wind, and clouds be formed, can all beings take rise, mature, bear fruit and withdraw in the course of the Four Seasons? Man's existence too depends entirely upon his ch'i." Ch'i means energy permeating the cosmos and man. Within man, ch'i is energy that is attached to air, breath, blood and nerve. It is vital life force, the essence of being, what the French similarly call élan vitale. It is a potential energy latent in the body—for which the English language does not have a word. Other Asian cultures have similar if not identical concepts to ch'i. In Indian yoga, the cosmic spirit-energy is called Shakti; another form associated with breath and vitality is known as prajna; and yet another form, equivalent to psychic nerve energy, is called the Kundalini, or serpent power. In Tibetan tantricism, ch'i is referred to as spirit-force, or psychic heat. Through Daoist yoga, ch'i is experienced as an energy phenomenon with a definable quality and configuration, and with a definite direction in space. The transformation of ch'i is manifested by the presence of two creative forces: ching-ch'i [jing-qi] and shen-ch'i [shen-qi]. Ching-ch'i, or ching, is a structive, unattached and unrefined potential energy, and Shen-ch'i, or shen, is psychic awareness, or the projected-focus of the mind, a "speculative concept of pure action," which by definition cannot be perceived directly. Ching is a function of the body's metabolism; shen is a function of the mind and is naturally projected through the eyes. The two forces are polar in relationship to each other: ching is "yin" in nature; shen is "yang" in nature. Ching-ch'i cannot assume form except in the presence of shen-ch'i ; shen also has no form but can constitute the ching into ch'i , a specific energy configuration. Through the interaction of these two polar forces, the energy of the mind and the energy of the body, the form or shape of matter and other energy configurations is determined. Herein lies the difference between eastern metaphysics and western philosophy. The premise of western thinking boils down to the counterposing of two separate entities: mind and matter. Western man identifies himself with his mind as separate from everything else. By defining everything not-him as "other," he ignores the continuity of his energy with the whole of the universe. Western man thus splits in terms—in his language and thinking—what is always One to begin with. Thus when man attempts to conquer matter, or nature, or anything deemed not man, he unbalances and harms himself by attempting to subjugate a part of himself unconsciously. Eastern philosophy, on the other hand, starts from the premise of mind and form, and assumes as a matter of course that all phenomena is energy, that energy is always preserved and therefore that all events are interrelated. This holistic process is an idea recently proven by modern physics. The interrelatedness of events due to the universality of ch'i was perceived by the ancient Chinese to exist within man's microcosm, his body, as well as in the macrocosm beyond. The awareness of ch'i upholds a very useful model of human health that has been the foundation of Chinese medicine for thousands of years. The Yi-lin sheng-mo (Principles of Medicine), a medical classic written in the Ming dynasty by Fang Yu, states the pervasive importance of ch'i : "What lets the yin and yang rise and fall is ch'i, what lets the hsueh (blood) flow and the pulses move is ch'i, what lets the five Yin-Orbs store structive potential and configurative force and the six Yang-Orbs  transmit and assimilate the same, and maintain the mutual relationships of production and sustenance is again ch'i. When it is vigorous, the organism prospers; when it is decrepit, the organism is exhausted. When it is concurring (flowing), the organism is at peace. When it is contrary (blocked or reversed), the organism suffers from disease. In sum, all these phenomena are as they are because of the quality of the ch'i. Ch'i constitutes, of course, the root and foundation of man, but it is also the origin of all disease..."
The Chinese conceive of the human body as being governed by twelve energy orbs or circuits. These orbs are related to specific organs of the body and consist of energy pathways or meridians that conduct ch'i and regulate the various nerve and organ systems. As to the ch'i itself, Chinese medicine specifies more than thirty-six forms that function within the body. Just as Arabic languages have numerous words for sand, and the Eskimos have many words for snow and ice, the Chinese have so many forms of ch'i having been identified through centuries of vigorous medical diagnoses and observation. Ch'i Nativum: Ch'i that is the inborn constitution, the vital potential that is gradually used up in the course of life. It may be conserved by hygiene but can never be replenished. Ch'i Cardinale: Energy moving through the meridians and integrated into a physiological cycle. Ch'i Frumentarium: Energy derived and assimilated from food. Ch'i Magnum: The energy derived through breathing or that cosmic energy that has been assimilated by breathing (similar to the Indian definition of prana). Ch'i Genuinum: The physiological motion of the organism resulting from the concurrence of Ch'i Magnum and Ch'i Fermentarium. Ch'i Mersum: The ch'i manifested in the pulses. The ancient Chinese represented their holistic view of human functioning with these definite aspects of ch'i. They saw that human life is an energy structure, the material aspect (ching-ch'i) being held to its form through thought, or the action of the spirit (shen-ch'i). This human energy structure is composed of certain inborn energy potentials which constitute the qualities and the force of its life (Ch'i Nativum) as upheld by the energy derived from the process of breathing (Ch'i Magnum) and eating (Ch'i Frumentarium). The efficiency of function, the health and well-being of the structure, is further manifested through the quality of energy moving through the meridians (Ch'i Cardinale), the arteries and veins (Ch'i Mersum). And the combination of all these vital energies constitute the total physiological motion (Ch'i Genuinum) of the structure. This holistic model of human functioning thus assumes the following are essential for good health and long life: proper thoughts and spiritual awareness, proper diet, non-polluted air to breathe, and exercise. Editor's Comments: This entry, originally titled "Ch'i" was taken from Terry Dunn's book, T'ai Chi Ruler: Chinese Yoga For Health and Longevity, pp. 13-15. Dragon Door Publications, 1996. Certain changes were made to fit the stylistic requirements of Qi Encyclopedia. Graphics and links were added with the approval of Sifu Terry Dunn. ^The original title for this entry was "Ch'i" which is a Wade Giles spelling. However Qi-Encyclopedia customarily uses the Pinyin spelling "Qi." Occasionally within this entry both spellings are used, with the Wade-Giles given first and next the Pinyin in parenthesis. 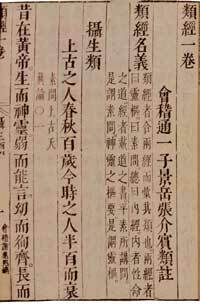 See Chinese Script For Key Terms on this page. ^ Chang Chieh-pin information is at http://www.dartmouth.edu. ^ "Orbs" is a term used by Manfred Porkert signifying orbits of function. See "What Are the Yin Yang Organs" at http://www.shen-nong.com.